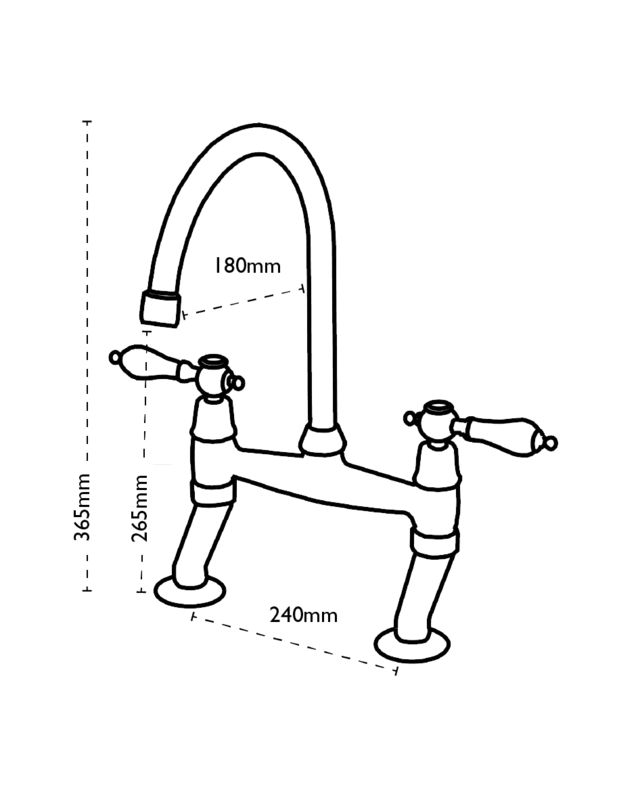 The Barra bridge mixer tap is designed to complement a traditional kitchen look in combination with a Belfast ceramic sink. 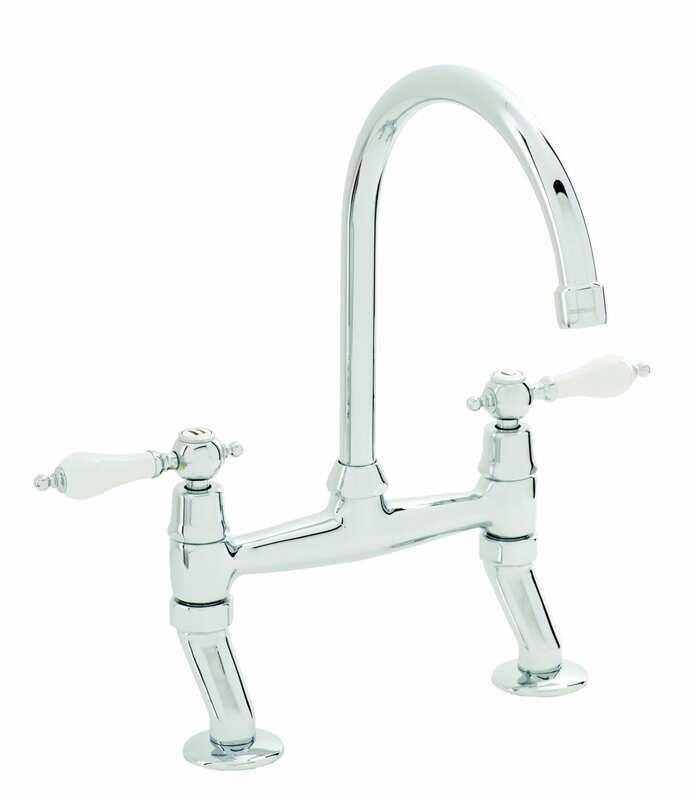 The Barra features traditional lever handle design and an elegant swan neck spout. Dual flow tap. Non return valves supplied. Spout swivels through 360°.